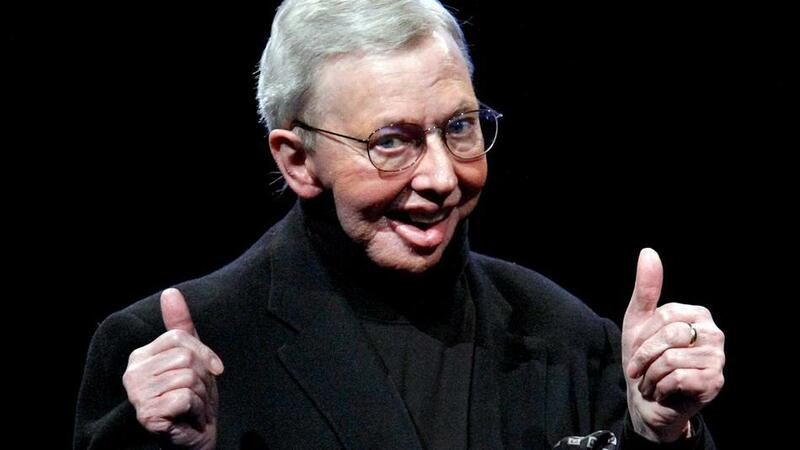 When I first found out that Roger Ebert passed away, I initially thought to myself, “I’m going to miss his Facebook posts.” That might sound like a slight against someone who redefined film criticism and took it to iconic places, but really, it’s an appreciation for all of his worldly interests, Internet and social-media savvy, and ultimately strong and motivating passion for film. Ebert died with 46 years of film criticism to his name, 31 of them on television, mostly with his good friend Gene Siskel. Together, sitting in an empty, old-fashioned movie theater, the competing Chicago newspaper critics made movie watching more than just, “I liked it,” “That was dumb,” or “It was cute.” They engaged with films, analyzing silly sequels like Jaws: The Revenge to discuss the logical flaws with a camera capturing a shark’s point of view from above the water, or why Michael Caine had a dry shirt after getting out of the water are some serious, illogical mishaps. For many people who couldn’t head to the theater, their banter would oftentimes suffice. Of course, their five-minute reviews could also trod on your heart just as easily. When you love a film and you don’t know precisely why, Ebert, like many critics, could help articulate that for you, but he could just as easily tear it to shreds. “No good film is too long and no bad movie is short enough,” he said. When Siskel passed away, Ebert found a somewhat sturdy replacement in Richard Roeper, continuing “At The Movies” through 2008 as a worthy substitute. “Ebert and Roeper” was once the only thing I knew about film criticism, their names plastered over billboards and bus frames, always giving “two thumbs up,” sometimes “way up.” My naïve mind thought all Ebert did was just give films a point with an appendage. He still worked for the Chicago Sun-Times, but he was really a national critic. His prose had such a nice blend of intellectual thoughts and personal reflections, which invited his widespread readership. Eventually he made his own webpage, a digital forum that housed his reviews and opinions. He didn’t just write about film though. He posted videos, essays, articles, and anything else about the world that fascinated him to his blog. As I researched the decline of celluloid film within the industry last year, he affirmed my trade journal searching by writing, in essence, a love-letter to celluloid film and his disappointment in its slow evaporation. He most recently posted about the Earth’s warming, gun control, and the latest YouTube fads, further enriching and spreading the voice that physically left him several years ago. It was really through those Facebook posts that he opened up a world of cinematic knowledge for me, and consequently boosted many writers’ page counts by sharing their work. He led me to Jim Emerson, a former critic who writes a rich film blog, and sadly is also dealing with health complications. He promoted his “Far-Flung Corespondents,” writers from all over the world with thoughtful and intriguing perspectives and essays on recent films. He made me feel like an intellectual when he’d post articles from The Paris Review or The Atlantic, which I’d subsequently share and pretend that I’d found in my own daily web scanning. As Ebert couldn’t speak, eat normally, or walk, reading and writing were some of his only fulfilling outlets, and he was nice enough to share them with us. It will now be strange not finding him on my newsfeed, or seeing his outdated picture on Rotten Tomatoes anymore. Like many, that was where I felt I knew him, through his writing, his critiques, and his book of four-star reviews sitting on my desk. But Roger, I’ve still got a bone to pick with you. You gave one of my favorite comedies Old School one star and in part of your review bluntly stated, “this is not a funny movie.” I think you were completely wrong, but I want to thank you for eliciting such a pessimistic, insane opinion. I never had to defend “Old School” to anyone. I wanted to after I read your review. Part of loving something is defending it. Ebert knew that better than anyone.